Experience the finest cultures of the world here at Kovalam in Kerala. The rich culture and uniqueness of the place is well reflected in the Kovalam Festivals and fairs held here. There are many attractions to be seen in the festivals. 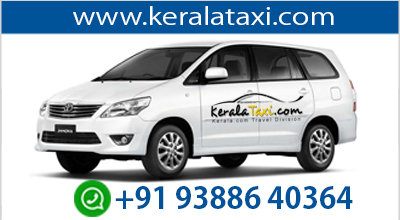 The festivals held here echoes a lot about the tradition and also the friendliness of Kerala people. If you are thinking to visit Kovalam and study the culture of this place, festive seasons would be the best time for you. The main festivals here start from January and ends in March. The best thing about the festival is that there are several elements in a festival which pleases one and all. It is also known as the "Gramam". You can experience the tradition of the place and in this festival; the actual intention is to recreate the place as a complete Kerala village with all its lovely features. Nallukett is the main feature which you will see here. By adequately using tiles and wood, the whole mansion is availed a rare attractive look. The fair is organized near to the Kovalam beach. Besides the main festival, an occasion is also organized in the temple of the village. The place of the fair is decorated with the exclusivity of Kerala. The village fair of Kerala reflects their art, their culture and their beauty of mind. They offer the tourists with some special kind of native drinks and foods. Here you can also buy some beautiful costumes and exquisite handicrafts from the vendors who put stalls at this fair. It is a three-day festival which starts on 9th January, every year. 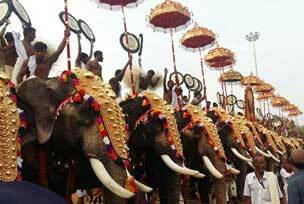 Elephants are decorated with beautiful necklaces and garments in the great elephant festivals of Kovalam. This festival is one of the most important festivals of Kerala. Elephants look majestic with their adornment and they move around the whole area of the festival; they are in fact the main attraction during almost every festival in Kerala. If you are an elephant lover, it's a great opportunity to see these massive mammals dominating the entire area accompanied by chenda melam which is a traditional instrumental music of Kerala. The objective of the festival is to gain the blessings of elephant. Food Festival or the Fandango is one of the most popular festivals in Kovalam. It is also a three-day festival and the festival is organized in January. It's a different type of experience that you will have if you visit the place at the time of Fandango. 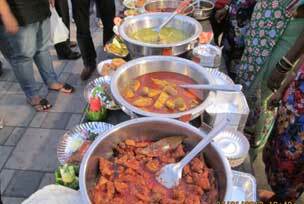 The location of the festival is organized with many stalls of different varieties of foods. You can find different kind of dishes like Garam Masala, Ethnic Kerala, Tandoor, Seafood, Pastry, Sweets, Biryani and so on. Some cultural programs organized here also bring additional excitement to the festival. Kerala is one of the best places in India for classical dance. The main attraction here is that studying classical dance forms is regarded as a token of gratitude to God. You can see many dance programs and have some thrilling and fascinating experience. Among the numerous dance festivals here, Nishagandhi Dance Festival is one of main artistic attractions of the place. This captivating dance form avails you with a stunning glance of the rich dance heritage of India. Lots of tales and many myths are connected with the formation of this dance festival. It is held two times in an annual year- March and October. This festival takes place in the Nishagandhi theatre which is situated at Kanakunnu palace compound. The enticing musical tunes combining with the stylish classical moves will truly be entertaining for any enthusiastic viewer. 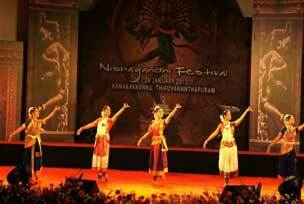 Nishagandhi theatre also hosts other dance forms including, Kathak, Mohiniyattam, Odissi, Barathanatyam and many more. 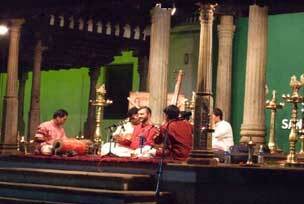 One of the most popular places in India for Indian classical music is Kerala. The government along with certain organizations conduct different programs for the music lovers. 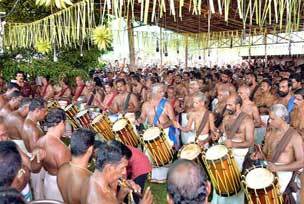 Swathi Sangeethotsavam or Swathi Thirunal Music Festival is actually the most famous among them and it lasts for one complete week. This festival is conducted every year in January and the courtyard of Horse palace hosts it. Horse palace is very much closer to the famous Padmanabha Swami Temple. The music festival features both Carnatic and Hindustani classical music. This festival is held as a tribute to the great Swati Thirunal for his evergreen musical works. He gave a new dimension to the Kerala musical tradition and holds nearly 400 compositions of Hindustani and Carnatic music to his credit. Beside all of these, if you want to know about their art and culture in more detail, don't forget to visit certain theatres of Kovalam which conducts programs such as Kathakali. Kalaripayatt etc which are the special assets of this great place.